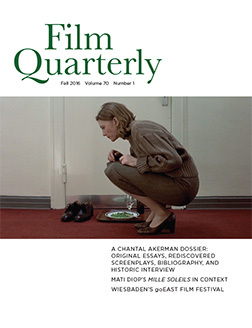 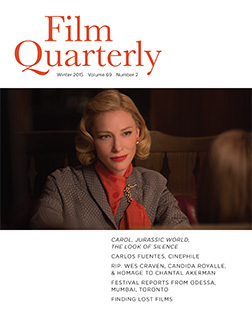 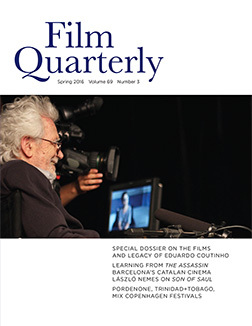 Film Quarterly is published on a rolling start basis. 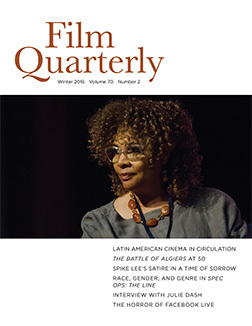 New subscriptions start with the next issue. 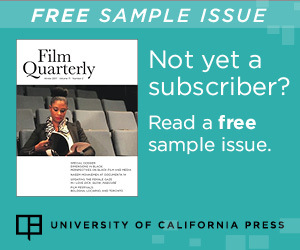 All subscriptions including a print component also include electronic access to the journal. 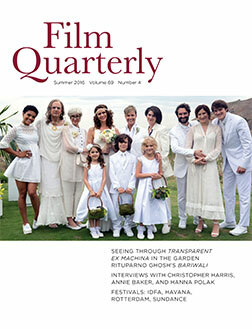 For print issues, please note that the next issue may take up to 30 days after mail date to arrive. 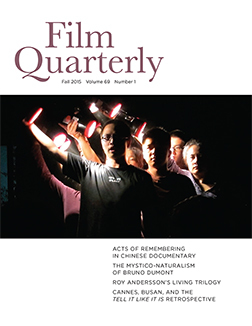 Airfreight postage will be added to all print orders shipped outside North America. 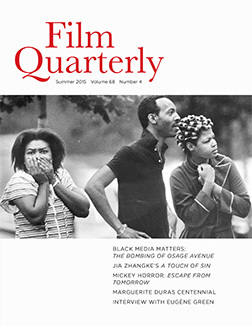 To subscribe, or to purchase single print issues (where available), please continue to our shop cart page to complete your transaction.